Suicide. Depression. These are subjects that many people don’t like to openly discuss. This may be especially true among teens, who are already struggling with navigating through the sometimes tumultuous teen years. Teens may have difficulty communicating their feelings, fears, and worries. However, as parents, suicide, depression, and the warning signs for both are important things to be aware of so they can help their children as needed. And, this is why I highly recommend the book, “R U OK?” by Kristi Hugstad (also known as “The Grief Girl”), a Certified Grief Recovery Specialist and credentialed health educator. 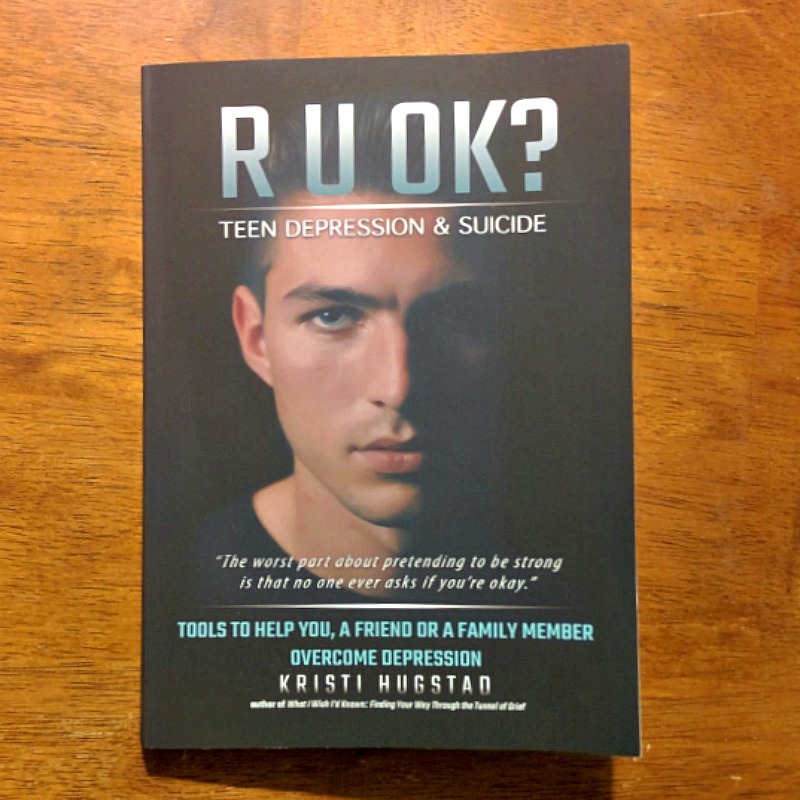 “R U OK?” provides “tools to help you, a friend or a family member overcome depression” (from front cover of the book). In fact, this book goes much further than just depression and suicide. It also addresses eating disorders, bullying, self-harm, PTSD, substance abuse and much more. Hugstad presents various stories of others’ suicides, including her husband’s, and stories of depression. These stories and the information that surrounds them provide eye-opening educational information, including risk factors, signs and symptoms to look for, questions for thought and discussion, things to say and not say, things you can do, and much more. And, she also provides a section of “Where to Go,” providing you with resources that are there to provide you with help. I honestly feel like this is a great resource for every parent. Knowledge and awareness can help parents in so many ways, and this book will be a great source for both. If I wanted to give this book to my teenager, I would read this with my teen (but that is just my opinion). The book provides some very sad stories and shocking statistics and I would want to be with my teen to discuss such information and ascertain how they’re doing while taking in all the information from the book. On the brighter side, the book is a tool that is here to help. I believe this is Ms. Hugstad’s intention—she wants to help prevent suicide and help those with depression. Her husband’s story is surprising and upsetting, but it’s there so that others can learn from it. Ms. Hugstad, I truly want to thank you for helping to bring increased awareness regarding teen depression, suicide, and suicide prevention. This book is one I’ll keep on my bookshelf for future reference. It’s a book that you can read but will want to reference in the future because it’s jam-packed with so much useful information. Or, you may find that someone else could benefit from it. It really is that good of a book and resource. “R U OK?” is available on Amazon in paperback for $9.99 and in Kindle version for $5.99. Prices are subject to change. You can also learn more about Ms. Hugstad and her mission to help at her website www.thegriefgirl.com.